Still natural mineral water drink with natural flavourings, sugar and sweetener. 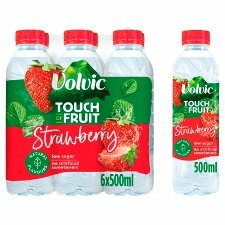 This 500ml bottle is perfect for enjoying with lunch or on the go! Store in a clean cool dry place away from sunlight, strong odours and chemicals. Best before date indicated on bottle neck.